Celebrate his 90th birthday in the comfort of his home with loved ones. Ninety years is a milestone with a lifetime of memories. 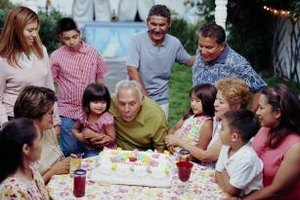 Celebrate your dad accordingly with a personalized birthday party at home. Your favorite nonagenarian will treasure the special day. Consider sending invitations personalized with your favorite photos of your dad -- after 90 years, you should have a lot to choose from. There are many websites that print and ship customized invitations for a reasonable price. Include a blank piece of paper with the invitation and ask guests to write down their favorite memory of your dad -- whether or not they can attend the party. Compile the written memories in a book for your dad to keep. Choose a theme for the party, based on your dad's interests. If he spent a lot of time traveling, decorate the house with maps and photos from his adventures. Or, if he's a loyal sports fan, decorate the house in his team's colors. A timeline of photos is also an excellent way to honor your dad -- any empty wall will work as a backdrop. You may also want to create a slideshow of photos to play during the party. Burn the slideshow to a DVD and play it on the television. Get creative and remember that the decorations themselves are less important than the personal meaning behind them. 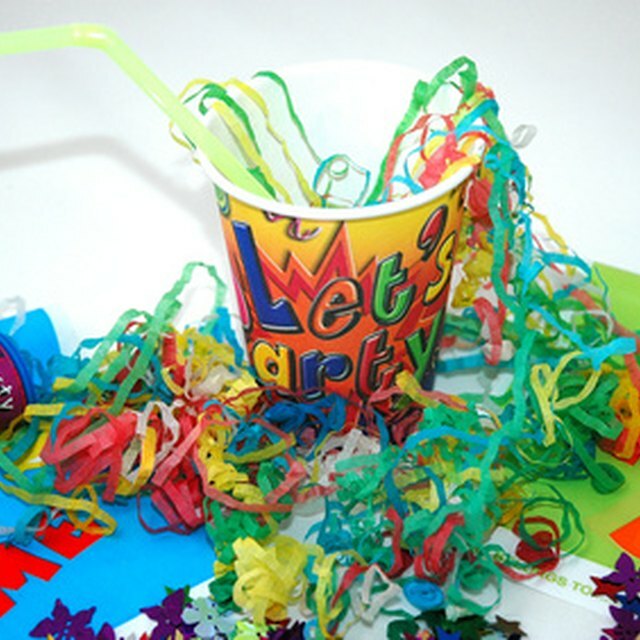 A birthday party in your home is the perfect setting to play a few party games. Choose classic games that will appeal to a variety of guests. If your dad is a music buff, play "Name that song." Choose songs that have special meaning to your dad. Play the song and give points to the team that correctly names the song first. Or, consider organizing a trivia game using facts from your dad's life. "How many countries has dad visited?" Or, "Name dad's top three sports teams." Bingo is also a fun option, and you can create personalized bingo boards with meaningful photos. After ninety years, your dad probably has enough stuff. So skip the tangible gift and consider giving your dad an experience instead. Maybe he always dreamed of visiting Yellowstone and it just never happened. If his health and your wallet can manage it, take him. Or stay local and give him gift certificates to his favorite restaurants -- his date? All of you. Maybe he'll get a coffee date with his granddaughter, dinner with you and a trip to get ice cream with the great grandkids. A new sweater is likely to get lost in the closet, but he will always treasure time with his family.